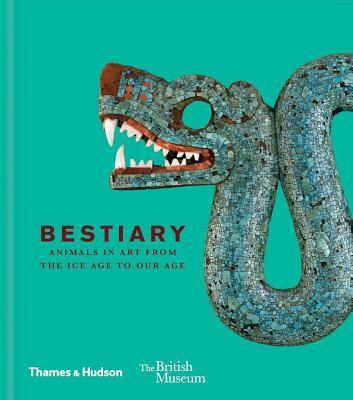 Drawing on the world-leading scholarship and vast collections of the British Museum, Bestiary is a wonderful visual, thematic exploration of animals--real, surreal, and imaginary--as depicted on beautiful ritual objects and works of art. Famous masterpieces mix with little-seen artifacts from every age and around the globe. Arranged thematically into five chapters (wild, domestic, exotic, symbolic, and hybrids and mythical creatures), this book depicts animals in intelligent pairings and groupings of images that encourage the reader to find and learn the cultural context and connections between the origins of many different civilizations. An ancient Egyptian bronze divine cat sits next to a nineteenth-century print of English domestic feline bliss; a miniature Ice Age mammoth sits with an ancient engraved drawing of a horse; a Minoan acrobat leaps onto the back of a 3,500-year-old bull. Art historian Christopher Masters is a wonderfully clear and informative guide, illuminating familiar masterpieces and bringing lesser-known treasures into the light. This book will enchant animal lovers and gift buyers, as well as appealing to curious general readers and offering inspiration to the creative imagination.